Soc ial media has become a vital part of online marketing strategies in the last few years. Many other promotional techniques businesses are using can become more effective by employing a social media marketing strategy. Let’s take website content, for instance – if you want more people to have access to your web pages and blog posts, you need to share them on social media. Or advertising – using advertising tools provided by social networks is very convenient and costs are suitable for any budget. No matter what marketing technique you want to implement, understanding your target audience is the first step you need to take in order to make sure you’re going in the right direction. If you’re not targeting the kind of people who would be interested in your products and services, you’ll be spending money and time to no end. Needless to say, not having a clear plan to guide you will lead to disparate actions and tactics that will produce poor results. Start with objectives, formulate strategies that help you achieve each objective, and then think of the exact tactics that will enable you to implement each strategy. A common mistake that many small businesses make is chasing likes and followers. You may buy fake followers or determine people to like your page by organising giveaways, but in the end what you need is people who actually read, talk, and share your content and who are interested in buying your products or services. Wondering how you can have access to a larger pool of followers? The answer is influencers – connect with experts or celebrities who are followed by lots of people in your target audience and cultivate a relationship. The purpose is to determine them to mention or appraise your products and make them more attractive and desirable for their followers. In order to get, you need to give – if someone share or talks about your products or content return the favour and share and talk about theirs. Selling definitely is your final goal, but you shouldn’t start with this. First of all, build a relationship with your potential customers by providing value through your posts and comments. 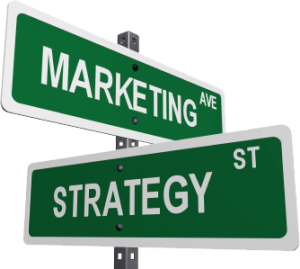 Selling is what comes last, and promotional messages should only be sent to qualified prospects that are close to the top of the marketing funnel. Communicate with people who reach out to you on social media and never ignore negative messages – followers expect you to act like a human and withstand difficult situations or complaints. Don’t disappear for weeks! Make sure you come up with some new content to post at least a few times a week. What keeps people wired to social media is novelty – we are pleased when we are provided new food for thought or quality entertainment. As we have mentioned at the beginning of this guide, social media is the place where other marketing techniques converge, so don’t forget to link to your website and use social media to gain more traffic to your site. Hashtags are a popular mean of categorising your content on social media. It helps your content be discovered and allows you to find relevant content from other businesses or competitors. Hashtags also allow you to connect and engage with other users based on a common interest or theme. Check out what hashtags your competitors are using and be inspired to create your own and use them in your posts. Social media has great benefits including increasing brand awareness, generating higher converting leads and providing a richer customer experience, just to name a few. However, success doesn’t happen overnight. You need to be patience and commit to the long haul to achieve results. 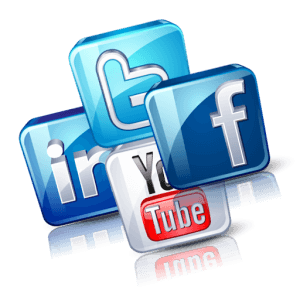 Visual Marketing Australia offers social media marketing services for busy business owners that simply don’t have the time. Get the job seen too by our social media marketing professionals and have more time to focus on your business strategic aspects. Don’t hesitate any longer contact us today to find out more and how we can help you with your Social Media Marketing!